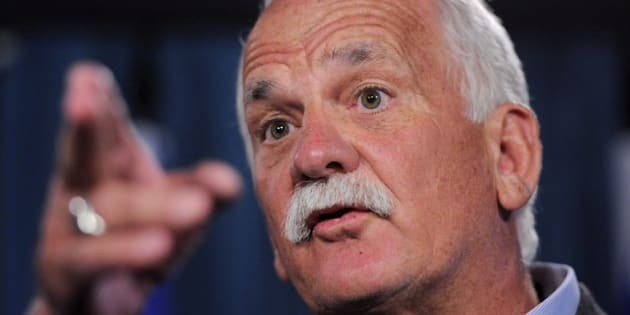 Public Safety Minister Vic Toews announced Monday that funding for the First Nations Policing Program will be renewed for the next five years. The program, which pays roughly half of the cost of policing in about 400 First Nations and Inuit communities across Canada, was set to expire March 31 and aboriginal leaders were expressing concerns that public safety was about to be compromised. The program costs about $122 million a year. "Our government is committed to keeping our streets and communities safe," Toews said during question period in the House of Commons Monday. "This is the largest investment in the history of this program and a significant increase from the previous Liberal government." The program provides "culturally-responsive" policing services by supplementing the funding and police forces supplied by provinces and territories. In 2012-13, the department's release says, 163 policing agreements were part of the program, providing funding towards approximately 1,250 professional officers that serve a total population of more than 338,000. Last month, Assembly of First Nations National Chief Shawn Atleo wrote to Toews, urging him to meet with First Nations leaders to address their funding concerns. Toews met on Monday with Atleo and Ghislain Picard, the AFN Regional Chief for Quebec and Labrador, according to a government official. Currently, the federal government funds aboriginal police services at a rate of 52 per cent, with provincial governments funding the other 48 per cent.